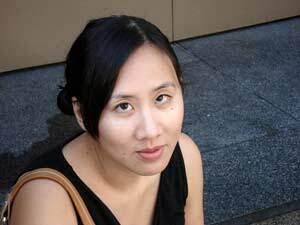 1) Celeste Ng! Winner of the Hopwood Award in Graduate Short Fiction; TriQuarterly, Subtropics, and Kenyon Review Online contributor; Huffington Post blogger extraordinaire; and, of course, member of the One Story family. This entry was posted in Author Updates, Uncategorized by Sam Katz. Bookmark the permalink. Imagine my surprise to see my own name come up in the One Story feed on Google Reader! Thanks, Sam–I’m honored to be the focus of your post! That’s really nice of you, Celeste. Glad you liked it. I’m a big fan!